We have sad news to share. Chaitanya passed away yesterday. She was shifted to ICU and despite best efforts by the doctors, she passed away. May her soul rest in peace and hope her family find strength. The funds collected were transferred for her treatment and the remaining funds were transferred to settle the hospital bills. 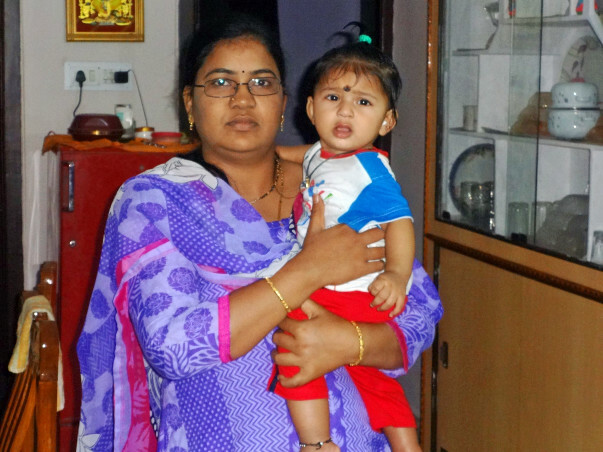 Chaitanya underwent her bone marrow transplant on the first week of August 2015. She was asked to be in the hospital for the next 90 days in order to keep her under observation. She was running a fever most of the days and this alerted the doctors who suggested for another round of tests. Unfortunately, her Leukemia has relapsed. Doctors have given an a fresh estimation and Chaitanya is undergoing chemotherapy now. We have started the campaign again because the expenses are really high. We request all your help. The funds will go to the hospital directly. Please share the campaign with your friends. 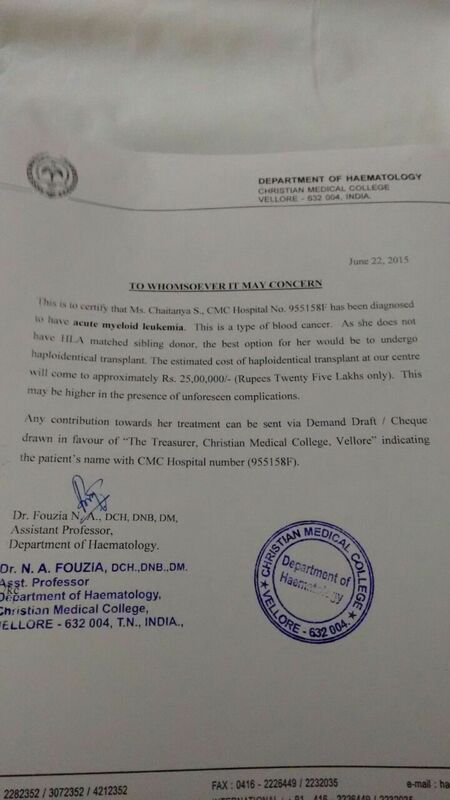 My wife Chaitanya suvvari was diagnosed with blood cancer(AML) on May 10th 2015. We were suggested to go to Vellore CMC hospital as it is specialized for this type of cancer treatment, which is a high risk type 2 cancer. We moved all the way to chennai, vellore without second thought immediately. 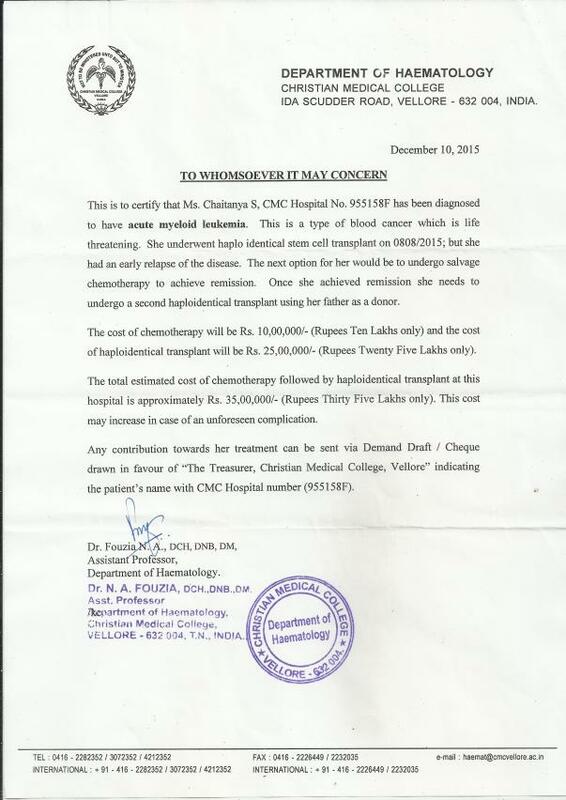 She has underwent first level of chemotherapy for about 2 months and this cost us Rs.10 lakhs. We managed to arrange this amount for the treament. But then doctors suggested for a Bone marrow transplantation (BMT). SHe underwent the bone marrow transplantation on August 2016. Over 25 lakhs was spent on the treatment. We raised over 16 lakhs from our friends through Milaap. Unfortunately her cancer relapsed and we are in need for more funds.